Traditional shirt with new raised collar solution. 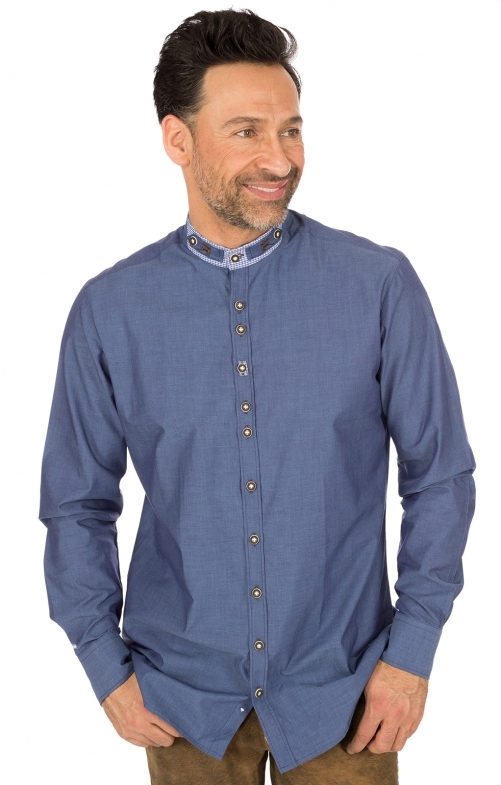 To fall in love ... the new raised collar shirt from Orbis. High quality fine fabric made of 100% pure cotton in denim blue. Slightly waisted in Slim Fit fit, matching to this exceptional shirts styling. Classic. Strict and extremely unusual is the new raised collar deposed with bright checked patterned plaid and equipped with a buttoned on both sides and embroidered with a small deer latch. The button row at the front is in different button distances and, together with the lovely details like the checked buttonhole, testifies to first-class workmanship and perfect shirt style. Sehr bequem und gut zu tragen.